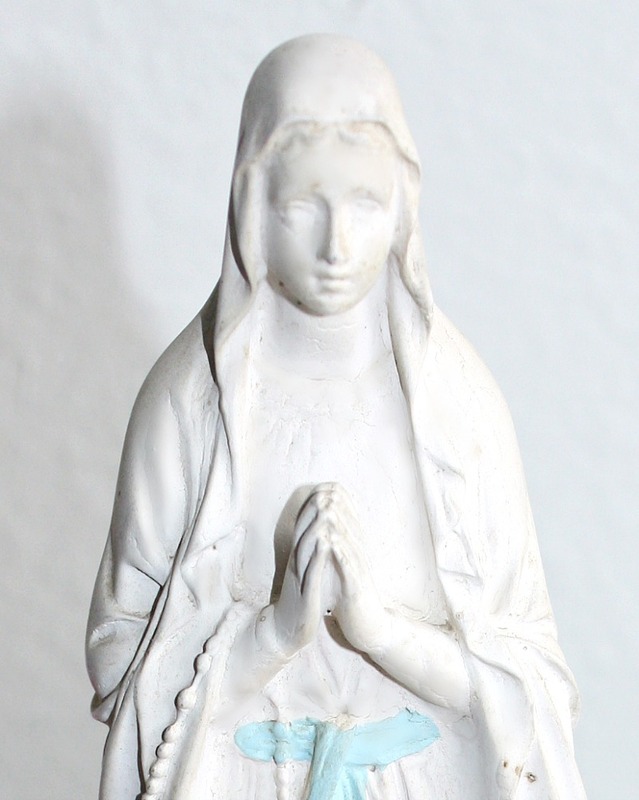 Collectable 1900's Madonna made of the old plaster of Paris, with the original finish, and beautiful patina that shows how she has aged with grace over the last century. 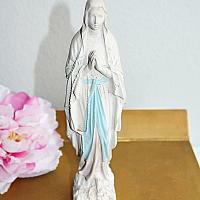 She has wear as shown, and such a serene countenance, she will make a lovely decorative statement. 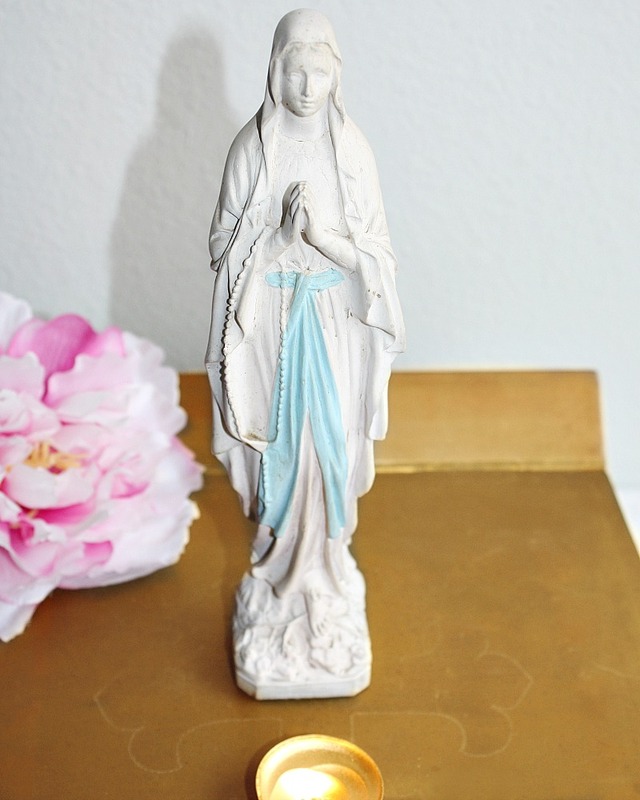 She is all white, with a hand painted light blue sash. 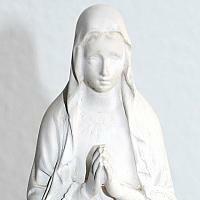 She has patina, a beautiful addition to your collection of antique religious articfacts, santos, and missals. Bought in France, marked depose on the base. Display her surrounded by flowers and votive candles.